I’ll tell you what, I had an absolutely incredible afternoon out at Sterling Forest State Park. And, you know what? I totally had a feeling about it. As I arrived and was parking my car, a sense of optimism came over me. I was dressed appropriately in muted colors, it was just a beautiful afternoon, and I just felt like anything was possible. The one question I had was regarding the wind – I thought it might be a little bit too breezy for songbirds, but that proved not to be the case. I got out of my car and headed down the trail. Behind me, right by my car, I heard a song and I wasn’t sure what it was. 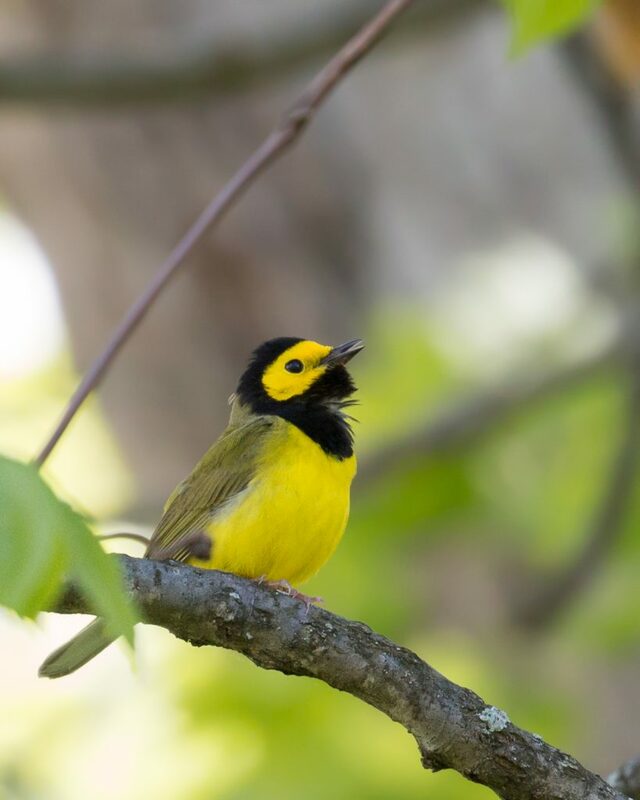 I turned around, and perched in a tree right across the road from my car was a beautiful HOODED WARBLER. This bird has been sort of a photo nemesis for me; I’ve never gotten a good close look at one before. The bird stayed put and sang away as I crossed the road and I was able to get some decent shots. 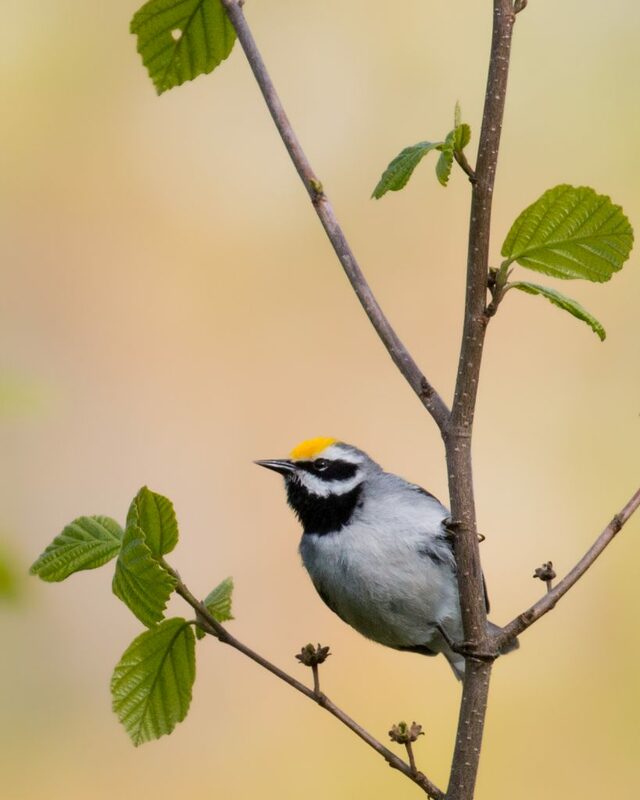 A little bit later, I was walking a trail and I heard the call of a GOLDEN-WINGED WARBLER. I moved slowly and I could see that the bird was likely calling from the other side of a tree that was about 30 yards off the trail. I tried to wait it out, but then got impatient and tried to get further down the trail for another vantage point and though I did not see it fly, the bird must have flushed. It wasn’t until I was on my way back, in the same area I heard the bird again. This time I had the patience to wait it out. Eventually the bird came around the tree and exposed itself to me – I was thrilled just to get a look at the bird. I was taking some distant pics, just hoping for the best, when the bird picked up and flew into a lower tree right in front of me. I couldn’t believe it! I was able to take a bunch of shots before the bird moved on; I’ve never gotten such a great look at a GWWA! I had one final excellent moment – I was walking the trail with a swampy area to my left. It was relatively quiet and I was disappointed because I’ve done well at that swamp in the past. 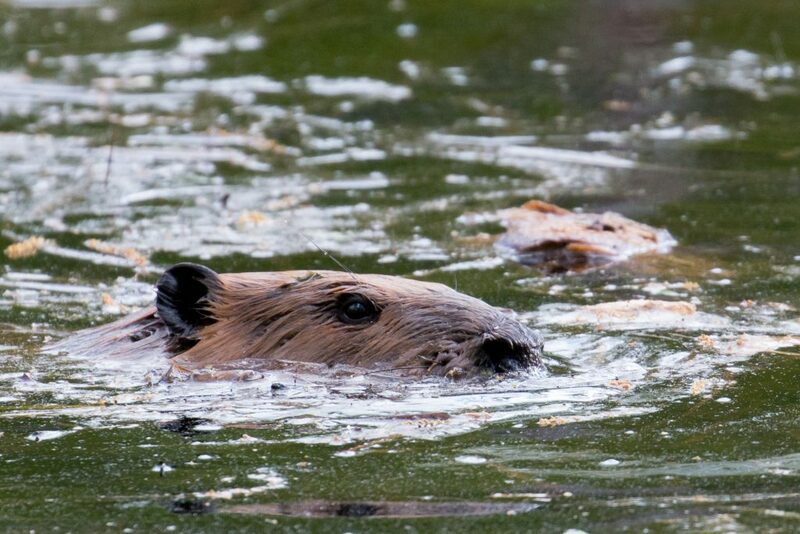 I was scanning for birds when out of the corner of my eye I saw a pair of beavers swimming in the water. I stayed completely still and one came my way and got within twenty feet of me! It was really cool to see it so close up; shortly thereafter, the beaver moved on and so did I. On my way out, I noticed on the far side of the swamp, a single Great Blue Heron sitting high up on a nest. What an afternoon! Next Next post: Break 100!